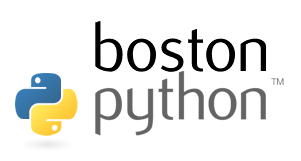 Next Wednesday, the Boston Python meetup will be having a Beginner’s Night. I’ll lead the session using an expanded version of my Whirlwind Python presentation. The goal is to introduce programmers from other languages to the Python world. I’m hoping it will be a lively interactive session. I know a number of experts will be on hand to help and probably heckle. If you’re in the area and either want to learn Python or help others learn it, drop in, all are welcome. And now a question for old hands out there: What do you wish someone had told you earlier when you were first learning Python? Did you have an “aha!” moment later than you should have? What was the part of the language or culture that held you back until you got it? As far as "gotchas" I think the the semantics of mutable default arguments gets a lot of people. If you have a default argument that is a list, they don't expect that it's the same list. I think the broader lesson when learning Python, or any language really, is to learn to speak it "like a native". A vetern python programmer once looked at my early python and chuckled saying "your python looks a lot like java". And it was true. I had parentheses and semicolons sprinkled everywhere, which python doesn't mind but sure looks strange to me now. But more than the syntax, I had also used a lot of constructs and idioms that were more like Java than Python. Moving to a new language it's really easy to try to do things the way you are used to and then getting frustrated when it doesn't work.